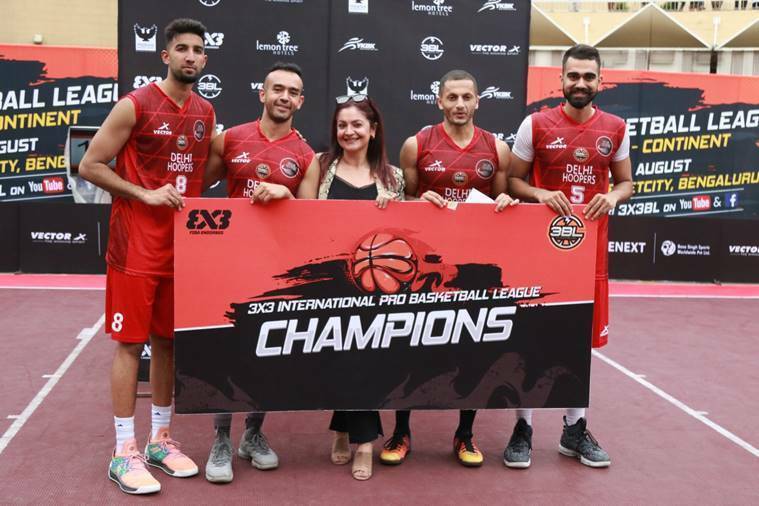 With 3x3 basketball to be introduced at the 2020 Tokyo Olympics, India will have a good chance of qualifying and a medal courtesy maiden 3x3 Pro Basketball League (3BL). No indoor gymnasiums. No lengthy rosters. No long drawn games. From traditional 5×5 basketball, things have moved to 3×3 basketball in what is a snappier, quicker, lung-bursting format. In sporting world where intention is to package things in short time period to garner attention and maintain that as well, in a sporting world where T20 has taken over the attention from Test matches, 3×3 (“3-by-3” or “3-on-3”) is played over 10 minutes and in race to 21 points. The format has been embraced by the International Olympic Committee (IOC) and added to the 2020 Tokyo Olympics programme and later inducted into the 2022 Commonwealth Games list of sports. 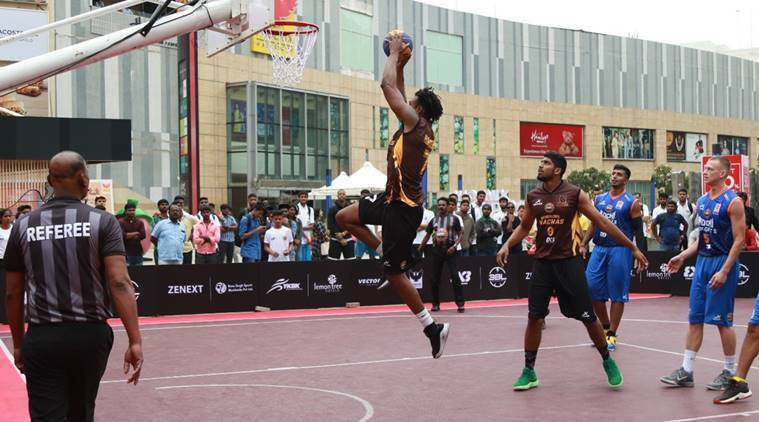 To ready the youngsters of tomorrow for the challenge, 3×3 Pro Basketball League (3BL) came to India in 2017 – played this year – and had been six years in the making. Going into sixth and final round, Delhi Hoopers have won all but one round in 3BL. 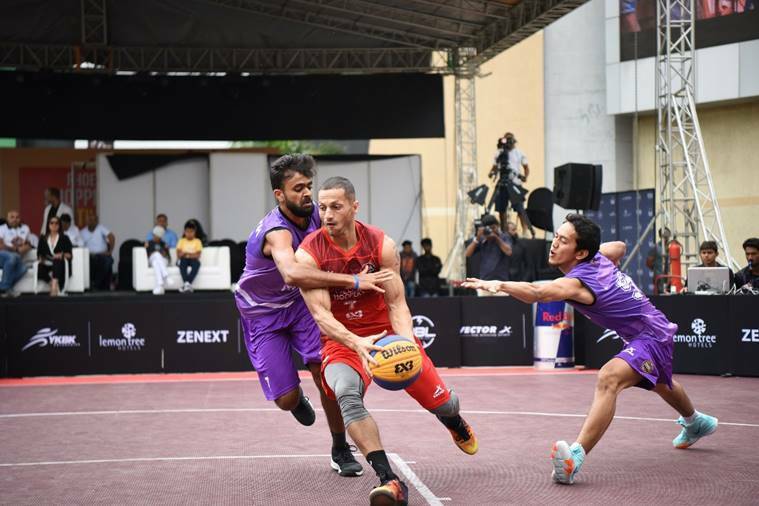 Bakshi’s playing days in 3×3 in Japan has helped him in understanding the sport, the requirement – from business perspective and from a player perspective. He had the idea of starting such a league in 2011 but the final germination of the seeds happened in 2017. In 2016, however, when as a player and owner of a team in Japan, he competed alongside Amjyot Singh Gill, Inderbir Singh Gill and Bikramjit Gill. They would go on to win the Japanese Championship and finished runners-up in World Tour Finals. Noticing the teamwork of Indian players, FIBA urged Rohit to spread the format and that’s when his dream of taking it to India took wings. For a new league, boosted by presence of walk-in crowds at malls, the league has attracted quite big numbers. In terms of broadcast, 3BL is currently shown live on FIBA’s channel and on Facebook pages. The plan is to take it to TV next year with Sony Pictures Network (SPN) likely winners. At the moment, Bakshi claims, India’s league has exceeded expectations and done four-times in marketability and seven-times in viewership compared to a well-set league in Japan which began four years ago. The ambition is to go from the current 12 team league to 36 teams and expand to other countries. “One team can only get 4 players and so, right now, we only have 48 players. But I’m trying to make this a 36-team league which will close to 150 players,” said Bakshi. “Presently our budget is Rs 10 crore and in the next seven years we plan to take it up to Rs 300 crore. We plan to grow to Sri Lanka and Thailand and go for an Asian League. The vision is to create leagues in 30 countries and then recreate a football’s Champions League kind of format. Beyond the men’s 3BL, we also start a women’s 3BL with six teams,” he further added. For businesses and owners, such as Bollywood actor Pooja Bhatt owned Delhi Hoopers, the break even point is expected to strike after three years. As the league commissioner, Rohit believes the aim is for the teams to be able to pay the players and staff for their job. At this stage, the idea is to promote the sport – a sport for the future. A sport for the masses. And as is the requirement these days, a sport for the TV.